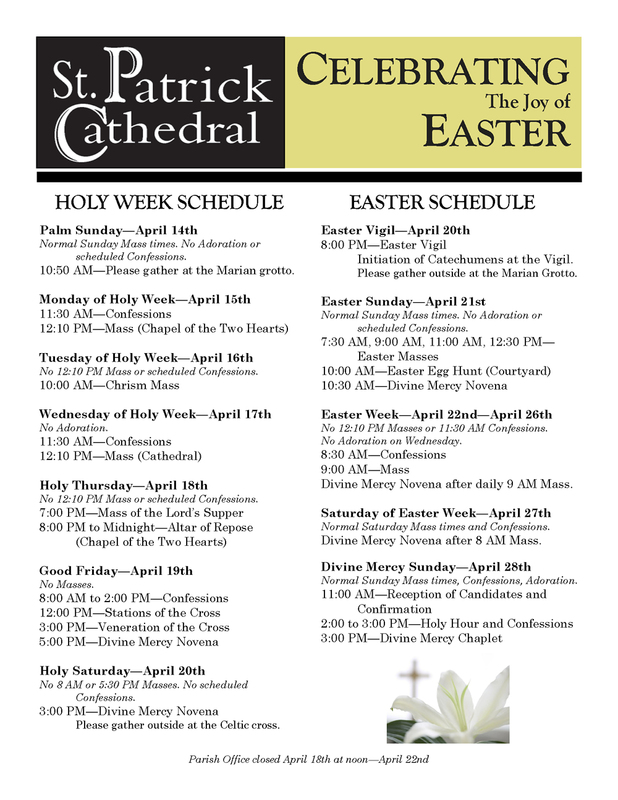 Weekday Masses will be offered at 9 am in the Cathedral from Monday, April 22nd through Friday, April 26th. Confessions begin at 8:30 am. The Divine Mercy Novena will be prayed after the 9 am Masses.